"It is a miracle that any one man should have observed, read, and written down so much in a single lifetime." — Kenneth ClarkPainter, sculptor, musician, scientist, architect, engineer, inventor . . . perhaps no other figure so fully embodies the Western Ideal of "Renaissance man" as Leonardo da Vinci. Leonardo was not content, however, to master an artistic technique or record the mechanics of a device; he was driven by an insatiable curiosity to understand why. His writings, interests, and musings are uniformly characterized by an incisive, probing, questioning mind. It was with this piercing intellectual scrutiny and detailed scientific thoroughness that Leonardo undertook the study of the human body.This exceptional volume reproduces more than 1,200 of Leonardo's anatomical drawings on 215 clearly printed black-and-white plates. The drawings have been arranged in chronological sequence to display Leonardo's development and growth as an anatomist. Leonardo's text, which accompanies the drawings — sometimes explanatory, sometimes autobiographical and anecdotal — has been translated into English by the distinguished medical professors Drs. O'Malley and Saunders. 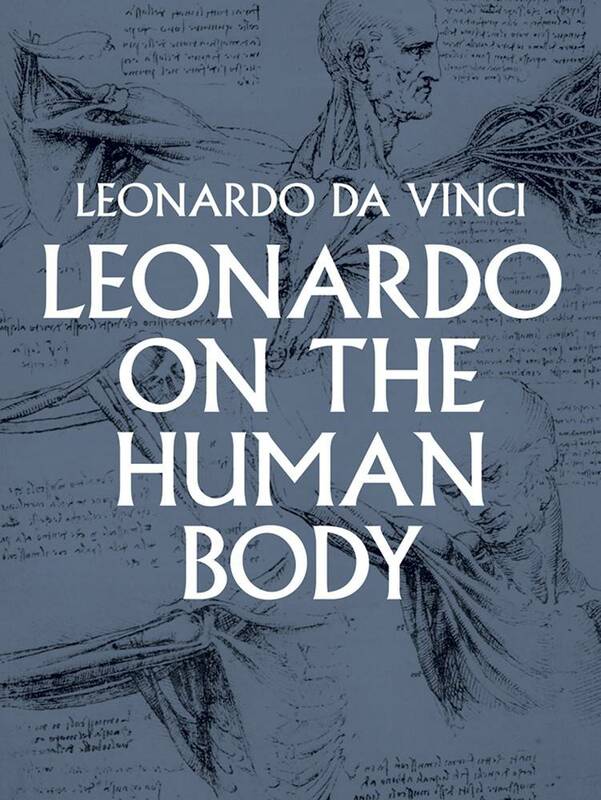 In their fascinating biographical introduction, the authors evaluate Leonardo's position in the historical development of anatomy and anatomical illustration. Each plate is accompanied by explanatory notes and an evaluation of the individual plate and an indication of its relationship to the work as a whole.While notable for their extraordinary beauty and precision, Leonardo's anatomical drawings were also far in advance of all contemporary work and scientifically the equal of anything that appeared well into the seventeenth century. Unlike most of his predecessors and contemporaries, Leonardo took nothing on trust and had faith only in his own observations and experiments. 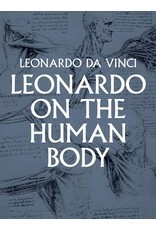 In anatomy, as in his other investigations, Leonardo's great distinction is the truly scientific nature of his methods. Herein then are over 1,200 of Leonardo's anatomical illustrations organized into eight major areas of study: Osteological System, Myological System, Comparative Anatomy, Nervous System, Respiratory System, Alimentary System, Genito-Urinary System, and Embryology.Artists, illustrators, physicians, students, teachers, scientists, and appreciators of Leonardo's extraordinary genius will find in these 1,200 drawings the perfect union of art and science. Carefully detailed and accurate in their data, beautiful and vibrant in their technique, they remain today — nearly five centuries later — the finest anatomical drawings ever made.Reprint of Leonardo da Vinci on the Human Body, Henry Schuman, New York, 1952.